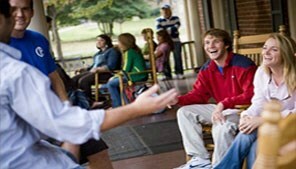 Ready to visit your campus? Let's set a date. 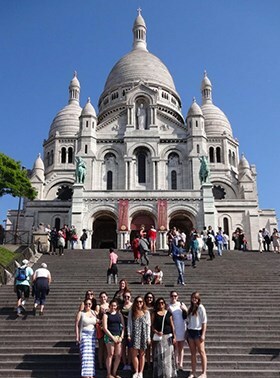 Summer Academy - Apply by May 15! It's OK not to have a major right away. Find out why. See what students are posting. Worth sharing. Could this be the school you've been looking for? Take our quick quiz and find out if Roanoke is right for you! 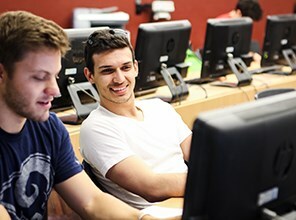 Marketing is a popular area of business for Roanoke graduates. 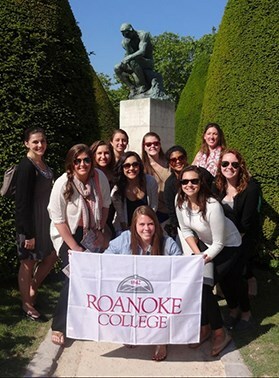 It's a field that appreciates diversity of perspective, research and analytical abilities, creative thinking, and strong communications skills—all attributes of a liberal arts education at Roanoke College. Marketing is a field that requires relational skills and a competitive outlook. Skills such as creativity and relationship-building skills are essential to building a career in marketing. Examples of the most common careers that become available with a concentration in marketing include marketing research analysts, advertising executives, public relations agents and purchasing agents. We offer a concentration in marketing. 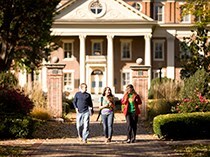 For the fourth consecutive year, The Princeton Review has named Roanoke College one of the best colleges for business in the United States. Laurel Morrison '15 spent her junior summer interning in the Creative Merchandising Department of the Robertson Marketing Group in Salem,Va. "My favorite part of my internship was the encouragement I received to blend 'out of the box' creativity with the professional side of business," she said. As a creative merchandising intern, her position required extensive online shopping. She was responsible for finding the perfect, innovative products to appease her clients' promotional needs. "At the end of the summer, I was even offered a part-time position during the upcoming school year," she said. Kelsey Charest '14 spent her senior summer interning for the City of Peabody, Mass. She was given opportunities to help promote city-wide events and attractions. She wrote press releases for the Summer Concert Series, and developed Facebook and Twitter campaigns for the city's golf course and annual International Festival. "Not only will I be able to apply this internship to my future classes, like Buyer Behavior, Promotions Management and Business Policy," she said, "I will be able to apply it to jobs I may have in the future." Gabby Gery '17 spent her sophomore summer interning at Virginia International Raceway. As the marketing intern, Gery had the opportunity to work firsthand with the raceway's social media. Gery dedicated much of her time to updating VIR's social media presence. She connected VIR to its followers through newer social media outlets, including Instagram and Pinterest. Between her internship for VIR and her work with social media in Roanoke's Office of Public Relations, Gery is pleased with her academic and professional path. "The plan has always been PR. 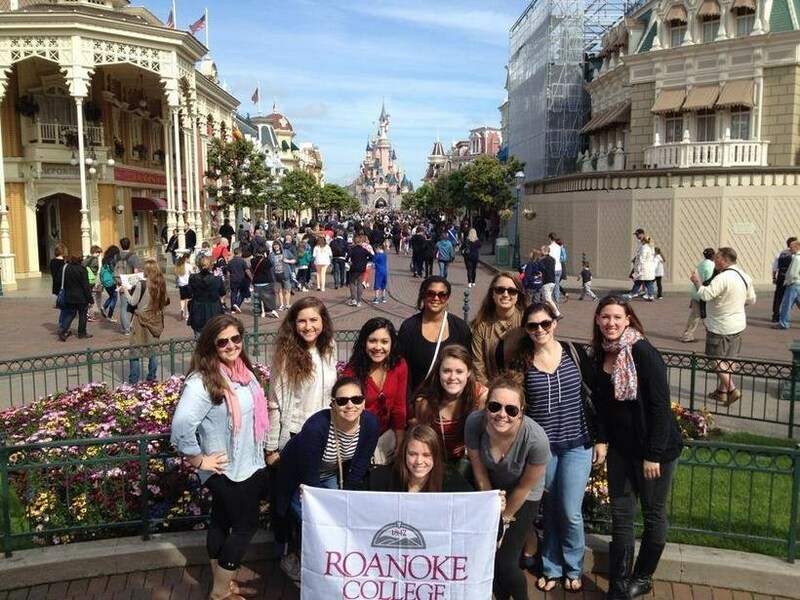 I have enjoyed my experiences so far and definitely want to pursue PR in the future," she says. 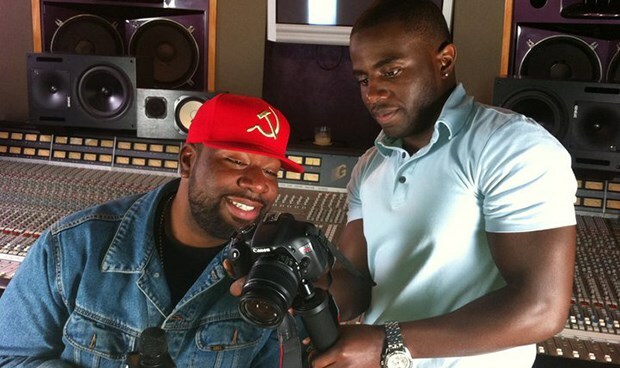 While a student at Roanoke, Karim Rashad '08 (on right) worked as a designer in Roanoke's Office of Public Relations, then did a three-month internship at MTV Networks. His work experiences during college helped him get a job as a graphic designer after graduation, working at Fusion Marketing. After Fusion, he did a stint as art director at Two Feet Productions, working on sneaker design and catalog production. He's currently the creative director at HM Branding, a Philadelphia area marketing agency. 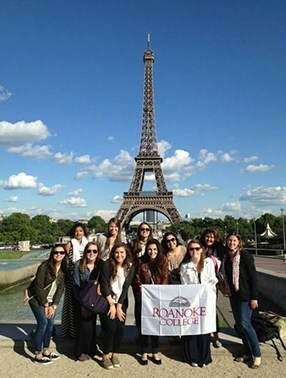 Roanoke students explore the French approach to sales and marketing by studying magazine, billboard and Metro advertising in Paris. 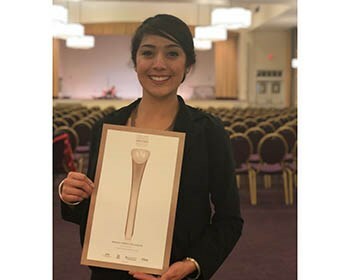 Brenda Prieto-Velazquez '17 is the recipient of a gold student ADDY award for a video she did focusing on student life at Roanoke College, both extracurricular and academic. 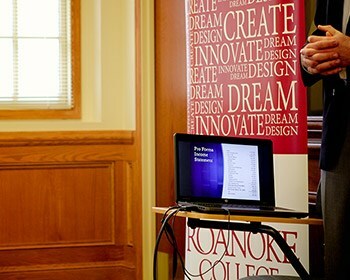 As part of the Roanoke College Innovation Challenge, 15 students are tasked with building a business plan for three entrepreneurs. Plans must be extensive and include everything from structure and marketing to finance, accounting and strategic planning.